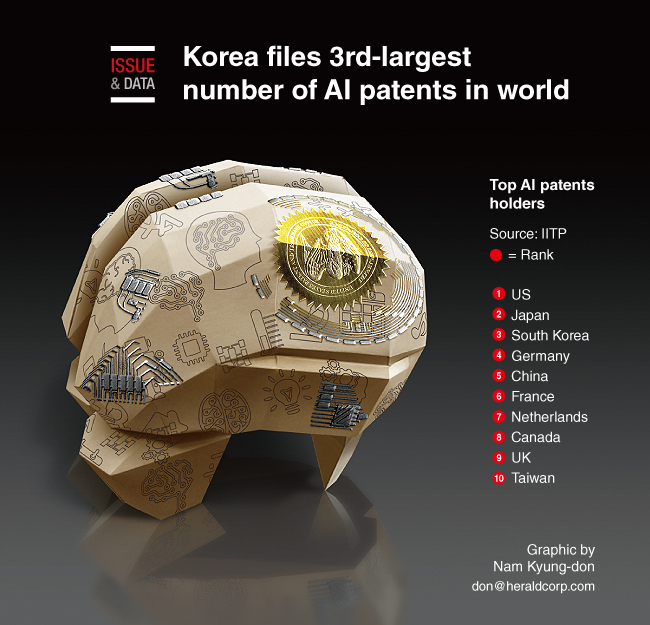 A South Korean state-run agency said local companies have filed the third-largest number of patents related to artificial intelligence over the past 12 years. The Institute for Information and Communications Technology Promotion said its finding was based on patent applications for AI-related technologies in the US, Japan, China, the EU and South Korea from January 2005 to September this year. The US ranked No. 1 in terms of the number of AI patents, followed by Japan, South Korea and Germany. According to the institute, South Korea’s patents were mainly for AI technologies for mobile devices and wireless communication solutions.